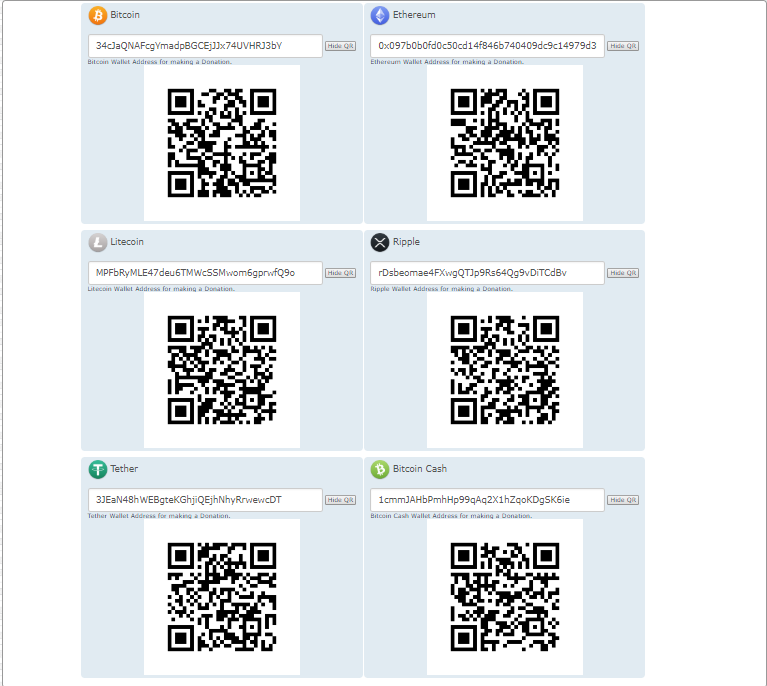 Will add wallet index page with QR code to donate crypto. 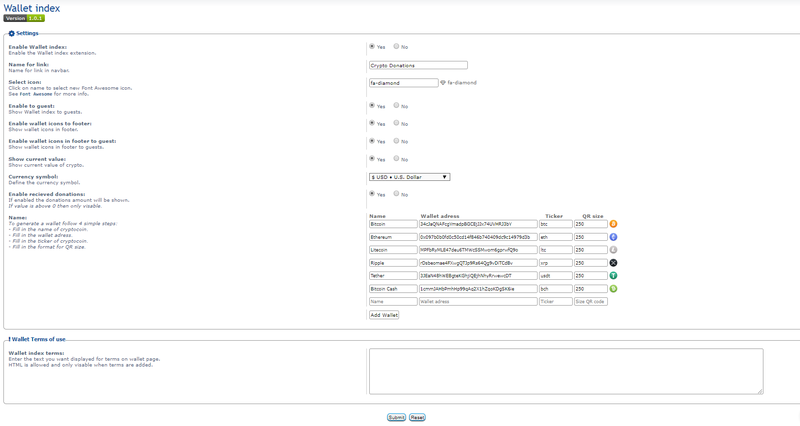 Added more options in acp. Unzip the downloaded release, and change the name of the folder to `walletindex`. Look for `Wallet index` under the Disabled Extensions list, and click its `Enable` link.